Room 23 did a Graphic Organizer on What Things We Have Choices About for D.A.R.E. We had to buddy up with a person and we had to think carefully about what things we have choices about. 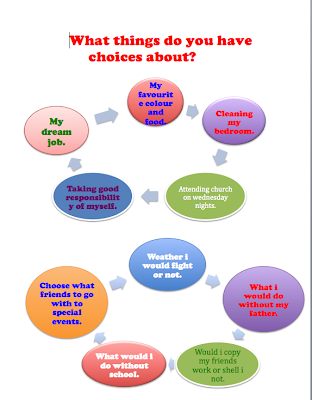 Some of my choices were weather I would fight or not, my dream job when I finish school and choosing what friends to go with to special events.